A Russian base in Venezuela? They have delivered Suhkoi-30 advanced fighter jets, battle tanks T-72, and have signed a deal to establish a 200 km2 banana plantation south of Lake Maracaibo. 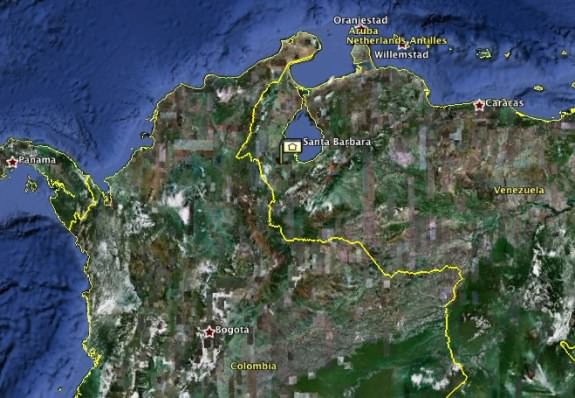 In December the government under Hugo Chávez confiscated 47 farms of about that surface area around Santa Barbara. Sunday January 30 they are reportedly planning to confiscate houses and lots in Santa Barbara itself, perhaps to get housing for the Russians. The gendarmes (GN) are assisting with these confiscations. They call it expropriations, but they don’t pay compensation so it is really squatting, and there is no legal procedure involved. Just like Castro did on Cuba 50 years ago; in fact, Raúl Castro is to this day living as a squatter in a house that belongs to a friend of mine. All of this is of course blatant violations of the UN declaration of universal human rights. Many regular folks in Venezuela are determined to prevent this, to stand up to the military, and the live blog below is set up so they can post there tweets and photos in real time as events unfold. However, the real deal behind this is oil: In return for this banana contract the Russians got $1.6 billion worth of stocks in the Venezuela government-owned oil company PDVSA. Where are the oil reserves of Venezuela? Take a wild guess. Yes, much of it is around Lake Maracaibo. Santa Barbara is located SW of Lake Maracaibo, about 90 km from the border to Colombia. It has a 2600 m airfield. Update: Some breaking news regarding the fire in the INTI offices in Santa Barbara. The confiscations tomorrow include property belonging to a man who was arrested accused of having set this fire, so this news is very relevant. At the night of the fire some farmers, chavistas, were drinking in the INTI office with the head of the office. The farmers were expecting to get part of the land that had been confiscated, that’s what Chavez had promised. But that evening they found out that the land would go to a banana deal with a Russian company, and so they got mad. They went out to block a road, but there was no traffic at that time of night so they returned, observed by quite a few persons. That’s when they put fire to the office. When the firemen arrived the head of the office held them back, dressed in only underwear, pistol in hand. When he finally allowed them to extinguish the fire, when all the documents had burned (except his address book), they found a woman locked up in the bathroom. 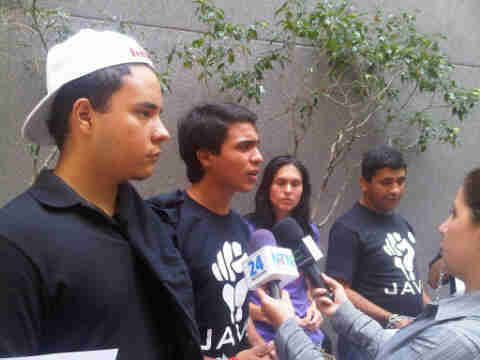 Since then about a dozen persons have been arrested, who all have one thing in common: They are in opposition to Chavez. Wait, they have two things in common. Neither one was there that night. Footnote about the oil reserves. Swedish “moderate” (i.e. right-wing) newspaper SvD writes that “Venezuela has the world’s largest oil reserve” but news that seeps out, pardon the pun, from Venezuela and Argentina suggests that there may be nothing more than politics behind those figures (“Do you remember the ‘mega-reservoir’ of oil that Enarsa found in Venezuela?”). Operation Venezuela took place January 23, Sunday 10 AM, on the anniversary of the deposing of a dictator in Venezuela 1958. 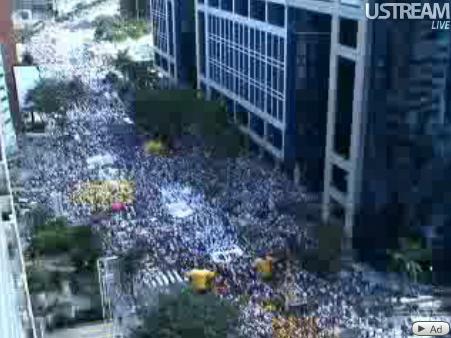 The main rally was in Caracas. There were support rallies against dictatorship in Venezuela on 4 continents. The events can be followed in the archived “live blog” below. There are both updates written in our “newsroom” and direct tweets from the ground in Venezuela. From the gathering in Caracas. The crowd continued around the corner of the boulevard in the top left corner. I estimate over 100,000 people. The state TV channel reported 646 persons. To help with orientation this map was created in Google Maps. Miraflores is the presidential palace. 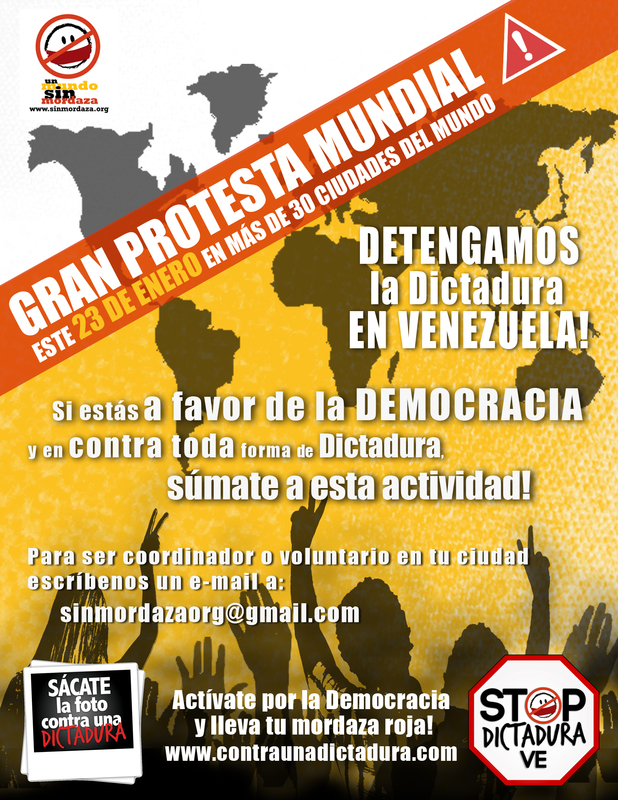 The main gathering is at 10:00 at Chacaíto metro station and east of it. At 12:00 there will be speeches at Plaza Venezuela, just west of the metro station by that name. At 08:30 organizers in Caracas will meet the caravan that has traveled for a week from western Venezuela, at the La Bandera metro station, and from there move to Plaza Venezuela. 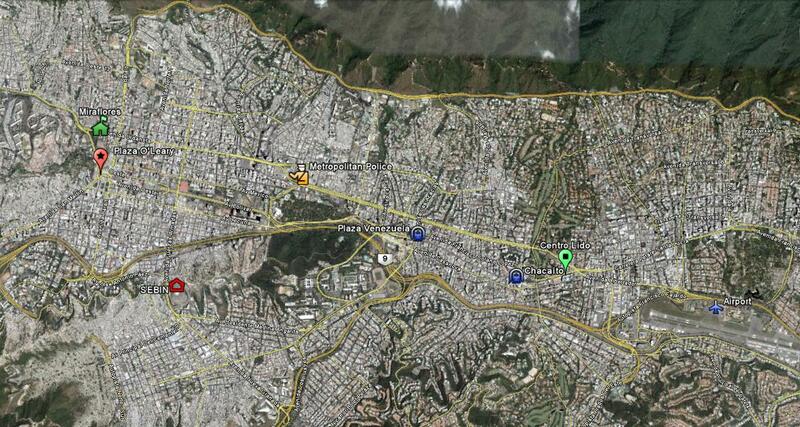 Updated map over Caracas with relevant information. Miraflores is the presidential palace. Chavistas are meeting at Plaza O'Leary and marching to Miraflores. 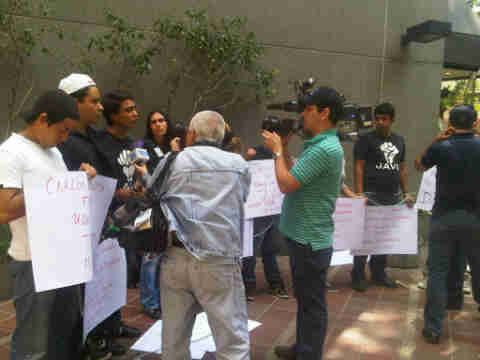 The opposition is meeting at Centro Comercial Lido. The metropolitan police is positioned between the two. SEBIN is the political police, where many political prisoners are held. The airport is in the east. Click to see in full scale. Blog page created 2011-01-21 12:15, last updated 2011-01-23 19:37 ET. Leaked US diplomatic cable, reproduced in its entirety. This was written June 16, 2009, 12 days before the first major setback of Chavizm: The deposing of his Quisling in Honduras, Manuel Zelaya. A student of history may find that most of these tenets are not new by any means. They have been used in the past over and over by other dictators, e.g., Adolf Hitler. 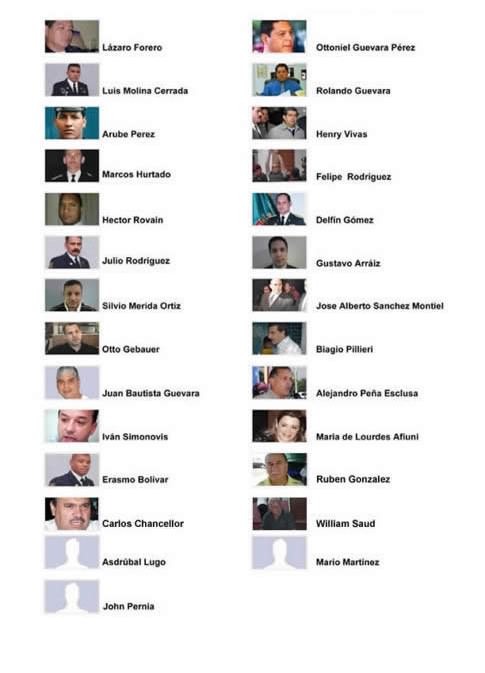 The repression has continued after this cable was written, by making judge Maria Afiuni and former presidential candidate Alejandro Peña Esclusa the latest political prisoners. How much longer, Venezuela? own solipsistic "revolutionary" fervor and outsized ambition. frequently rebukes even his most trusted advisors publicly. has firm control over all the other branches of government. civil cases bereft of political implications. done just that in states run by opposition governors. discretionary development funds to these community councils. Three - Hype External and Internal "Enemies"
Secretary personally, while quickly adding that "imperial"
government harassment of the vestiges of independent media. economic dependence on the GBRV. 10. (C) Politically, Chavez tolerates no middle ground. terms, "With the revolution, everything; outside, nothing." services (at least not without paying intermediaries). 11. (C) Senior GBRV leaders insist that "participatory"
and institutional autonomy are discredited "bourgeois"
the GBRV's human rights record while in Caracas. to opposition-oriented cable news network Globovision. occupied the Cardinal's residence in downtown Caracas. established government ministries of resources. OAS, IMF, and the World Bank. neither party now exercises any meaningful local power. the PPT and PCV after the 2010 parliamentary elections. horse on the national seal to make it run left, not right. poisoned (He has not done so yet). substantively on issues that should be of common interest. It was 20 years ago today that the Soviet tanks ran over and killed 14 civilians when taking the TV-tower in Vilnius, Lithuania. In the second largest city of the country, Kaunas, Liucija Baskauskas was sitting in their TV-tower watching live feeds. She cabled out the news to every address in her address book, and thus made the world aware of the violent crackdown. This, and her subsequent outspoken fearlessness on Lithuanian TV in the face of the Soviet threat, made her a national hero of the singing revolution, and it may well have contributed significantly to the success of the liberation of not just Lithuania but also of Latvia and Estonia. 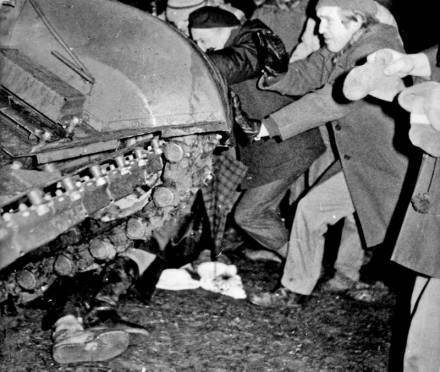 14 defenders of liberty were crushed to death as the Soviet tanks advanced. These people were unarmed civilians. Just like the ones who deposed the dictator of Tunisia two days ago. There is no doubt that many, many more lives would have been lost if they had chosen an armed struggle. What the Baltic peoples demonstrated to the world, was that even in the face of a cynical dictatorship an unarmed united people cannot be defeated. The background to the event was that Lithuania, Latvia, and Estonia had declared themselves independent from the Soviet Union. Their countries were still occupied by Soviet forces, so the people stood guard around all important buildings 24/7, including this biting cold night 20 years ago. They came from all over the country, a friend of mine said she had a feeling something would happen and took the train from Kaunas to Vilnius after work, to stand guard rather than sleep. In the following months Liucija Baskauskas told her audience, every day, not to let themselves be intimidated into silence but to keep talking about what they had seen that night. In fact, she asked them to write down their eyewitness accounts and to send them to the TV show. They got over 3,000 accounts of what had happened that faithful night. The stories were typed in a computer database, and the letters destroyed to avoid that they fell in the hands of KGB. 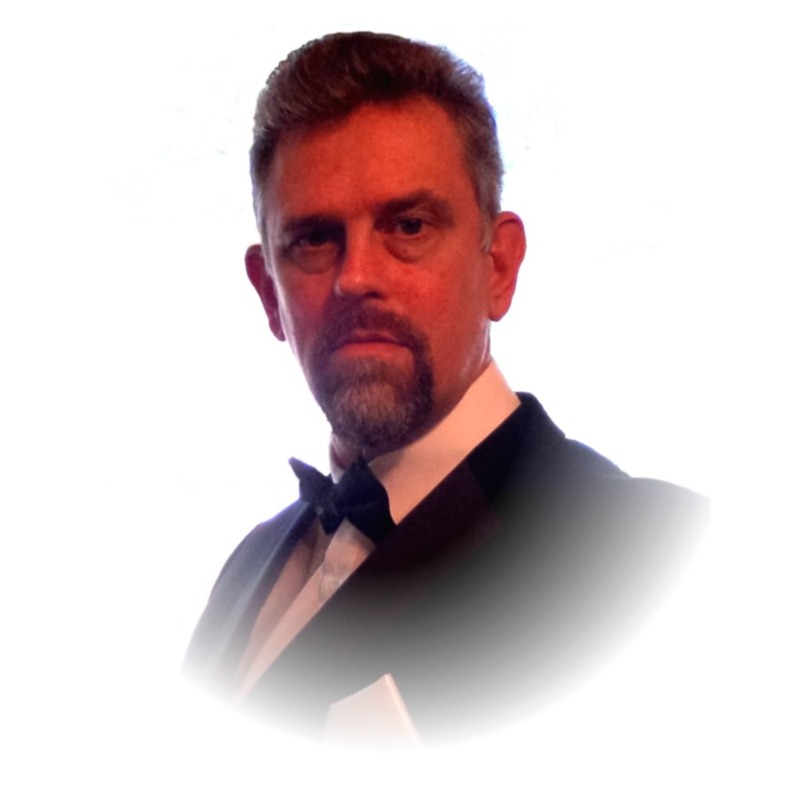 The database was smuggled out to Sweden, in a KGB vehicle, and that’s where I met them. Finally the hard disk of the computer was destroyed to eliminate the risk that it was decoded by KGB. This happened a couple of weeks before the coup d’État in Moscow, an expected event. Luckily something unexpected happened, and that was when Boris Yeltsin (perhaps after having too much vodka?) climbed up on that tank and gave a speech which changed the course of history, making him president of Russia. May God bless all those who gave their life for freedom that night. They changed the course of history for the better, for all of us. Era el doce cumpleaños de una niña. Su madre estaba allí, pero la niña no se encontraba. La gente sabía que había desaparecido, pero no sabía como decirlo a la madre. En la casa tenían un cuadro de la familia. Lo enseñaban a la madre, sin embargo la cara de la niña era cubierto de otra pintura o tela. Pusieron una foto del rostro de la niña en el lugar, pero la madre lo sacó para ver la pintura, y la cara de la niña todavía no estaba. Era el doce cumpleaños de la niña. La fecha del sueño ese fue hoy, el 15 de enero de 2011. Al despertar, me recordé otro sueño, que tuve el 11 de marzo de 1995: Una mujer desapareció frente a mis ojos, volvió invisible. Un voz decía a la mujer a mi lado que tiene que cambiar el mundo dentro de 12 horas, o nunca más en su vida se iba a disfrutar de la presencia de la mujer vuelta invisible. Queda obvio que los dos sueños se tratan de la misma tema. Doce horas, doce años, lo importante es el número doce, no la unidad. ¿Pero quien es la mujer que desaparece? Ayer escuché la noticia que Chepe Fortuna había sido prohibido en Venezuela, ya que en esa novela colombiana un perrito se llama Huguito y la dueña del perro, Venezuela. Allá está la interpretación, que el país sea representada por una mujer, como en el Statue of Liberty. La mujer que volvió invisible, la niña que desapareció y cuya cara fue cubierto en el cuadro, era la Venezuela libre, la Venezuela democrática. El número doce se refiere a los doce años en poder de Hugo Chávez. Ya sabemos que no tiene ninguna intención de dejar el poder no importa los comicios en 2012. Para detener la dictadura el pueblo tiene que actuar ahora, antes que se ha consolidado por completo. Chávez fue inaugurado como presidente el 2 de febrero, 1999. Falta 15 días para cumplir 12 años. 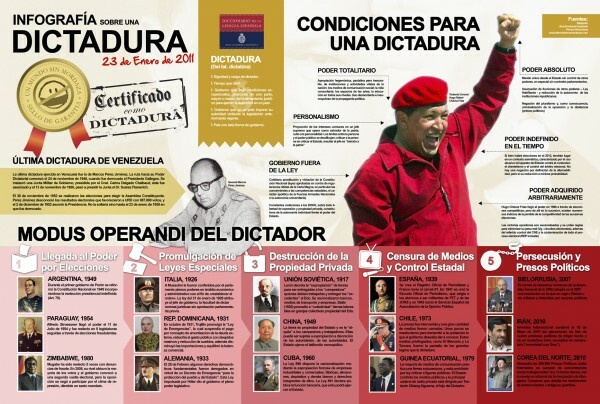 Curiosidades: Hugo Chávez fue liberado el 27 de marzo de 1994 después del fracasado golpe militar en 1992. Poco después del sueño en 1995 el avión en lo cual viajé aterrizó brevemente en Caracas. Es lo único que he visto de ese país.